(PZT) pyro electric ceramics . Ultrasonic Homogenizers are recommended for homogenization and Analysis of laboratory samples that do not require traditional grinding or rotor-stator cutting techniques for processing. The ATHENA Ultrasonic Homogenizers offer precision engineering with all the necessary features to create a total system for ultrasonic disruption. In biological applications, Probe Sonicator is often used to disrupt cell membranes and release cellular contents. Probe Sonicator is also used to fragment molecules of DNA. Probe Sonicator is commonly used in nanotechnology for evenly dispersing nanoparticles in liquids and for breaking down particles to nano size. Auto-tuning and power control convenience for user. Display the remaining time on countdown state. Automatic amplitude compensation to make the amplitude not changed following the carrying. Digital operation , easy , direct type. Piezoelectric frequency energy converter: Lead zirconate TITANIUM(PZT) pyro electric ceramics. Standard probe: titanium alloy material Diameter (probe): 3mm /6mm /9-10mm /12mm. Sonicator & Jack type for sample Placement. liquid crystal display at peak value. Ultrasonic Cell Disrupter titanium alloy Ultrasonic Sonochemistry Equipment for drug extraction,cosmetic emulsifier and biodiesel production. Thorough distribution of solid particles in a liquid medium(dispersions)or any system requiring high-intensity mixing. Results for those systems have been difficult to predict in advance with conventional equipment. Emulsions and dispersions are often made with low-cost,propeller mixers,involving a time-consuming process and producing a low-quality product with large particle size. Other equipment used are colloid mills and piston homogenizers,which do produce a good emulsion,but with low throughput,high power requirements,high maintenance costs and perhaps undesirable heating effects. Equipment is also bulky and has a high initial capital cost. Today,ultrasonic equipment,capable of being engineered to almost any capacity and for use in any liquid processing system,is available. Such equipment is being used by more and more drug and cosmetic manufacturers as an efficient,low-cost system for producing excellent emulsions and dispersions.Low-cost,large-volume production is achieved through a unique concept creating ultrasonic energy mechanically. Such equipment is manufactured by Clangsonic Ultrasonic Transducer Corporation.The equipment is used widely to manufacture such drug and cosmetic products as antacid emulsions,antibioticsalves and ointments, and a broad variety of lotions,cold creams and other cosmetics. The very high energies produced by cavitation afford a means of creating smaller particle size, and a great many cases allow a reduction n the amount of emulsifying agent. The advantages of Athena Technology ultrasonic emulsification system Simple,low-cost design----Initial equipment costs area fraction(often one-fourth or one-fifth) of the outlay required for conventional equipment with similar output. Installation of a Clangsonic emulsification system often merely means the replacement of an existing unit without change of production methods. Standard probe 3mm/6mm/ 10mm / 12mm. Prepare Tissue , Prepare Emulsions , Immiscible Liquids Accelerate Enzymatic Reactions , Accelerate Chemical Reactions , Stimulate Bacterial Activity Disperse Solids , Degassing of Liquids , De-agglomerate Powders Dissolve Powders, Dissolve Tablets , Emulsify Cosmetics Extract DNA / RNA , Extract Proteins , Emulsify Liposomes. SS Velocity Horn fitted with PZT Crystals (Transducer Elements) This velocity Horn Assembly converts the electrical frequency energy fed from the ultrasonic generator to mechanical vibrations at the rate of applied electrical frequency. The amplitude of these mechanical vibrations are magnified by this velocity Horn. This Velocity Horn is used for.. The Processing Applications. Homogenization, Micro fined Emulsion *More stable compares to processes.Very flexible it can easily be transferred from one batch to other without intermediary operations like emptying, cleaning and refilling. 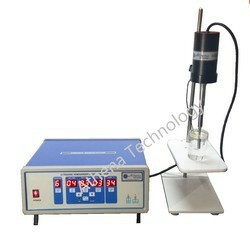 Ultrasonic Processor can be transported to various locations of sample operations. Auto-tuning and power control convenience for user.Timer control the total working time from 1min to 99min;Set TEMP as per requiredDisplay the remaining time on countdown state.Digital Display with Microprocessor ControlProgrammable in 5 /10 USER SettingsON/OFF impulse timer: make sure to deal with temperature sensitive sample. On and off can be choose tocontinue setting from 1s , 4s or 8s;Automatic amplitude compensation to make the amplitude not changed following the carrying.Digital operation , easy , direct type. Ultrasonic Homogenizers, are recommended for homogenization and Analysis of laboratory samples that do not require traditional grinding or rotor-stator cutting techniques for processing. The ATHENA Ultrasonic Homogenizers offer precision engineering with all the necessary features to create a total system for ultrasonic disruption. 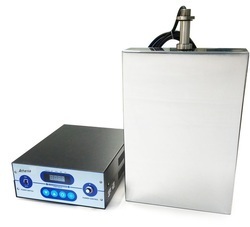 In biological applications, Probe Sonicator is often used to disrupt cell membranes and release cellular contents. Probe Sonicator is also used to fragment molecules of DNA. Probe Sonicator is commonly used in nanotechnology for evenly dispersing nanoparticles in liquids and for breaking down particles to nano size. Electrical Supply: 240 V, AC, 50 - 60 Hz, 1 Phase. Process Control: Micro-processor based Programmable timer with display is provided for selecting ON time, OFF time & Total Time of processor operation in Cyclic mode. Cyclic Mode: Maximum ON time 15 seconds, no clamping on OFF time. Ultrasonic Horn: Is made of Titanium & is fitted with PZT Transducer. 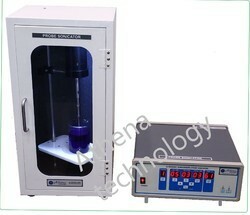 Ultrasonic Generator:Is housed in a separate cabinet. It has Auto-tuning & the control Panel is provided on the outer panel. Construction: Ultrasonic Processor Horn with Titanium is one part & Ultrasonic Generator is in a cabinet with all control switches & display. With 2 Nos. of flow inlet in opposite direction in the Titanium Tip. Extract DNA / RNA , Extract Proteins , Emulsify Liposomes. full amplitude control amplitude (intensity) is controlled from 1-100% giving a greater degree of resolution and the ability to pinpoint the amplitude needed to effectively process your sample. Biological / biotech sonication is an ideal tool for lysing bacteria, yeast and tissue cells for the extraction of protein,dna, rna, and cellular components. Dna shearing (chip assay) is a very common application. Pharmaceutical cell disruption is common in analytical, quality control, and r & d labs to perform numerous functions from mixing and degassing of analytical samples, to cracking open tablets for dissolution tests. Liposomes and emulsions are easily formed by sonication for microencapsulation purposes in the production of creams and lotions. Chemical sonication accelerates both physical and chemical reactions, creating new fields of research. Major advances in sono chemistry include chemical synthesis of catalysts and new alloys, catalyzing organo-metallic reactions, micro-encapsulation of protein and hydrolyzing esters. The use of sonication provides greater yields, increases overall efficiency, and saves energy. Industrial industrial uses include forming emulsions, catalyzing reactions, extracting compounds, and reducing particle size. Menu operation , easy , direct type. Piezoelectric frequency energy converter: Lead zirconate titanium (PZT) pyro electric ceramics . Standard probe: titanium alloy material Diameter (probe): 3mm,6mm,10mm,12mm. 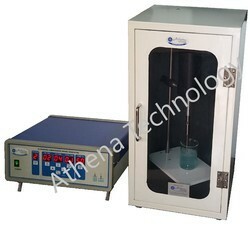 Clean irregular and complex specialized instruments, components and PCBs of sundry shops, workshops, factories etc. 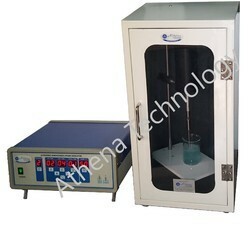 Thorough distribution of solid particles in a liquid medium(dispersion)or any system requiring high-intensity mixing. Results for those systems have been difficult to predict in advance with conventional equipment. Emulsions and dispersions are often made with low-cost,propeller mixers,involving a time-consuming process and producing a low-quality product with large particle size. Other equipment used are colloid mills and piston homogenizers,which do produce a good emulsion,but with low throughput,high power requirements,high maintenance costs and perhaps undesirable heating effects. Equipment is also bulky and has a high initial capital cost. Today, Athena ultrasonic equipment,capable of being engineered to almost any capacity and for use in any liquid processing system,is available. Such equipment is being used by more and more drug and cosmetic manufacturers as an efficient,low-cost system for producing excellent emulsions and dispersions. The ATHENA Ultrasonic Homogenizers offer precision engineering with all the necessary features to create a total system for ultrasonic disruption. In biological applications, Probe Sonicator is often used to disrupt cell membranes and release cellular contents. Probe Sonicator is also used to fragment molecules of DNA. Probe Sonicator is commonly used in nanotechnology for evenly dispersing nanoparticles in liquids and for breaking down particles to nano size. Simple,low-cost design Initial equipment costs area fraction(often one-fourth or one-fifth) of the outlay required for conventional equipment with similar output. Installation of a Clangsonic emulsification system often merely means the replacement of an existing unit without change of production methods. High efficiency because all the energy is developed and used right in the liquids,high operating efficiency results. High production rates are achieved with a fraction of the power needed for conventional mixing equipment. Looking for Probe Sonicator ?